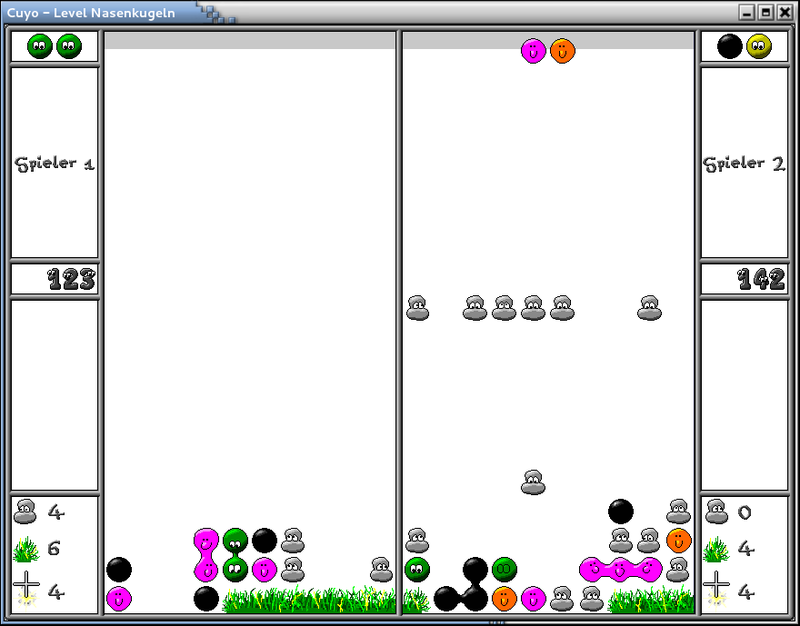 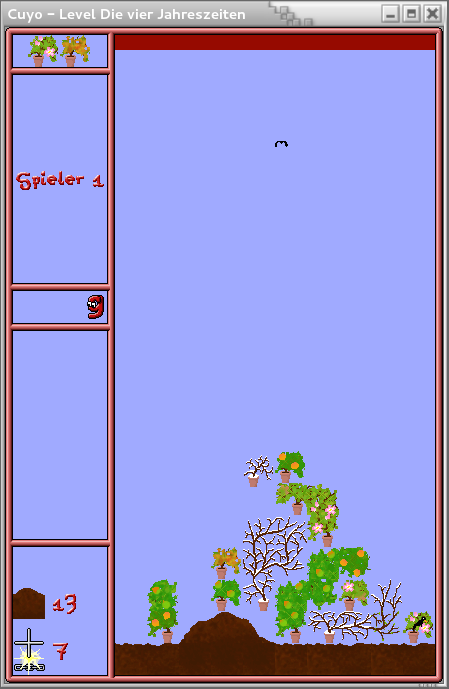 Moved remaining unfinished levels and some finished levels to "contributions"
Oh, yeah, and bugs ... 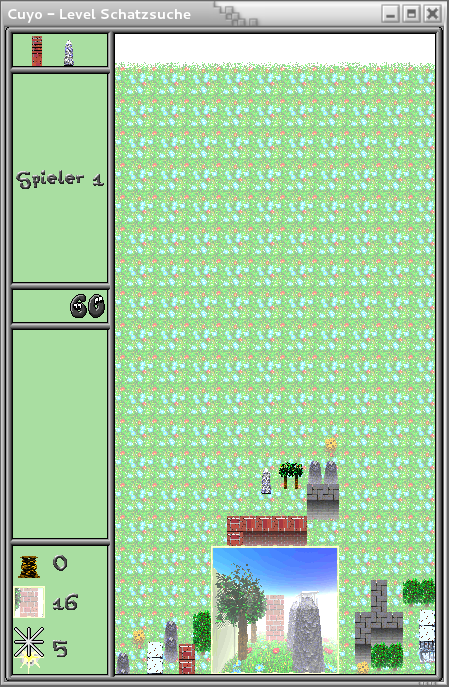 I mean fixes. 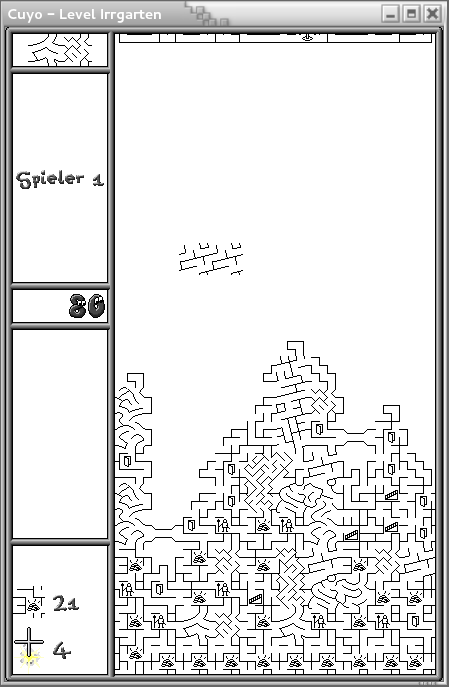 Some bugfixes. 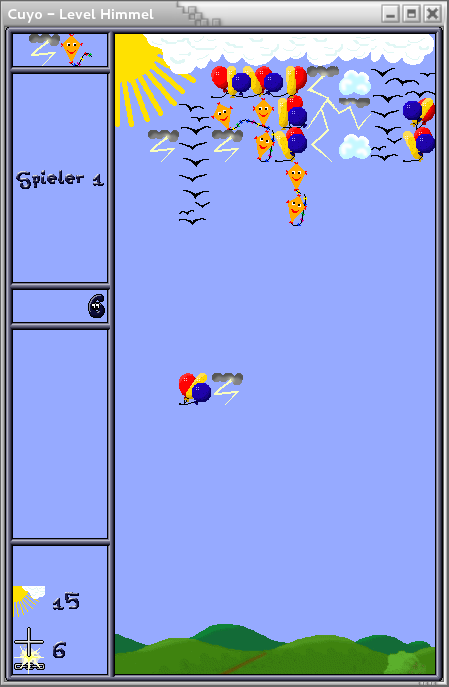 Probably more, but I don't know what. 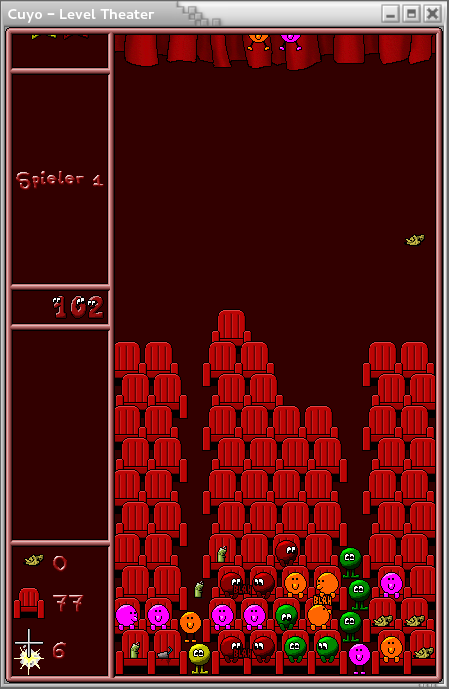 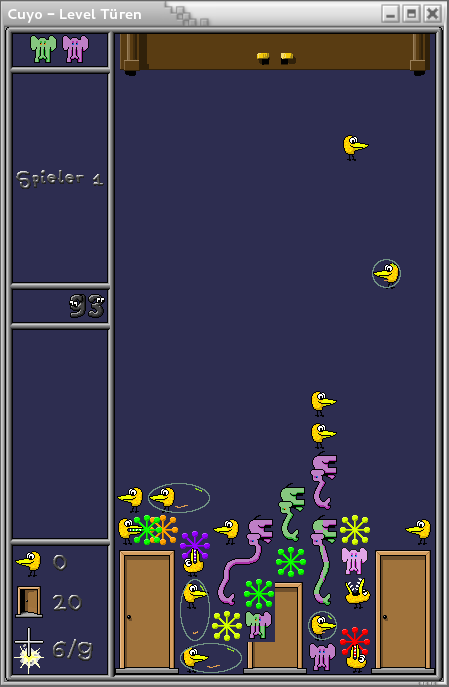 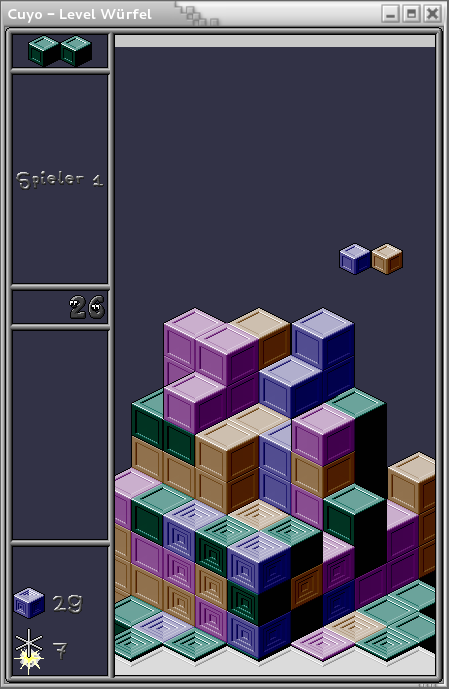 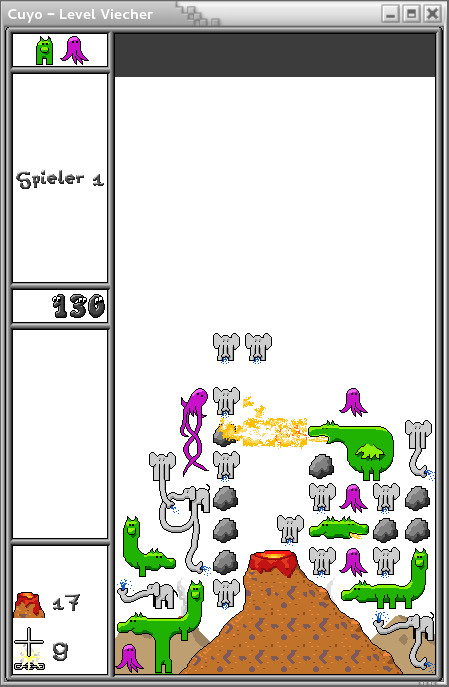 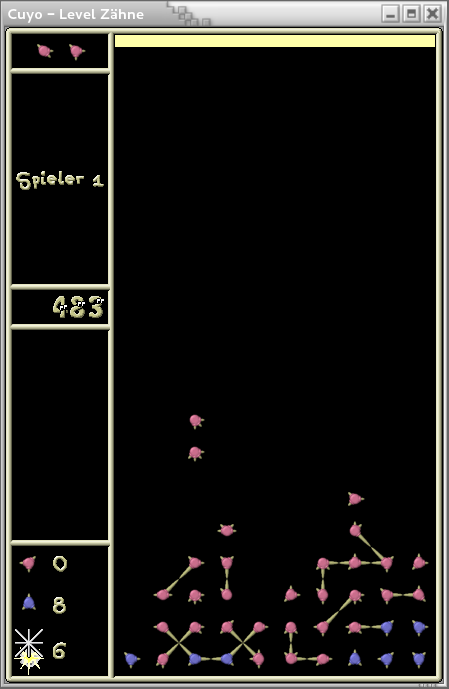 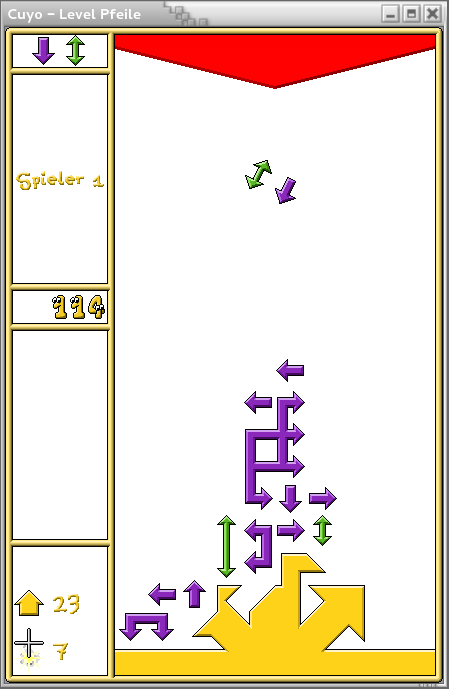 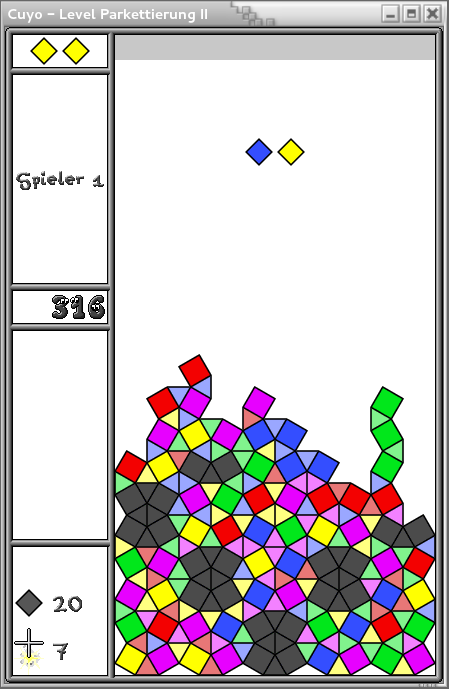 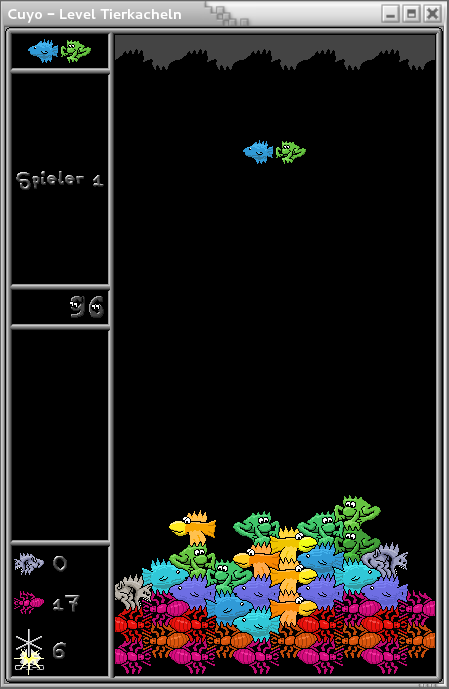 By the way, either in this or on the previous release, a "small screen mode" feature appeared: type "cuyo -s"
Neue Levels, hoffentlich nicht zu viele neue Bugs. 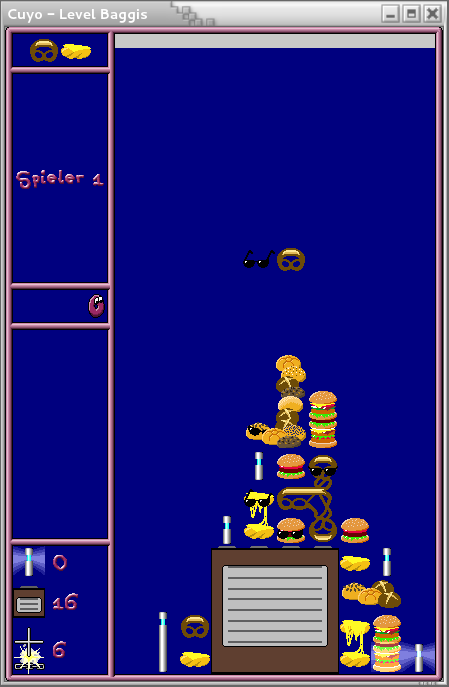 Geschwindigkeit vom KI-Player kann in Preferences eingestellt werden.